The fody was once widespread and common across Mauritius, but experienced a substantial range contraction due to widespread habitat loss and the impacts of introduced mammalian predators. By the mid 1990’s the remnant Fody population (~100 pairs) was restricted to the remote Black River Gorges area in south-west Mauritius and it was classified as Critically Endangered. Following a decade of population surveys and ecological research a recovery program was initiated by the Mauritian Wildlife Foundation (MWF) in conjunction with the National Parks and Conservation Service (NPCS, Government of Mauritius), with support from Chester Zoo (CZ) and the Durrell Wildlife & Conservation Trust (DWCT). Initially, the focus was on captive breeding and reintroduction into small, protected islands, with a goal of establishing a self-sustaining population to complement the remnant population on mainland Mauritius. As part of the program 90 Fodies were reintroduced onto the predator-free Ile Aux Aigrettes (IAA) nature reserve between 2003 and 2006. The resulting population developed rapidly and is now stable at around 250 birds and the species was reclassified as Endangered in 2009. The fody population on IAA is the subject of an intensive monitoring programme and is used as a model study population to learn more about Fody ecology, population limitation and how to manage the species in the long-term. ZSL’s Institute of Zoology are working closely with MWF and the University of Reading (UoR) to better understand what drives the apparent stabilisation of the fody population on IAA and the role conservation management actions have played. In particular the research is focused on the impact of the variable mating strategies exhibited by the Fody has had on the population’s development. In future the IAA fody population will be used as the source population for reintroductions to other predator-free islands or mainland areas and an improved understanding of what drives the patterns seen in the fody population on IAA will be invaluable for guiding harvesting strategies and reintroductions. The Mauritius Fody is a passerine endemic to the Indian Ocean Island of Mauritius and is currently classified as Endangered on the IUCN Red List. 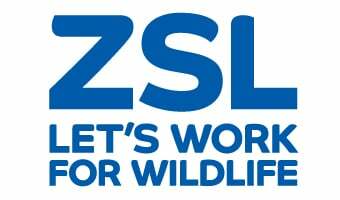 Partners: Mauritian Wildlife Foundation, National parks and Conservation Service (Government of Mauritius), Chester Zoo, Durrell Wildlife & Conservation Trust and University of Reading. Sponsors: Chester Zoo and University of Reading.